No more nervous fingers, fun keeping busy. I used to have nervous hands and bit my fingernails. Now that I have a fidget spinner, I use my fingers to keep the fidget spinner spinning around in a fast circle. It keeps from shaking and my hands and fingers feel better keeping busy. 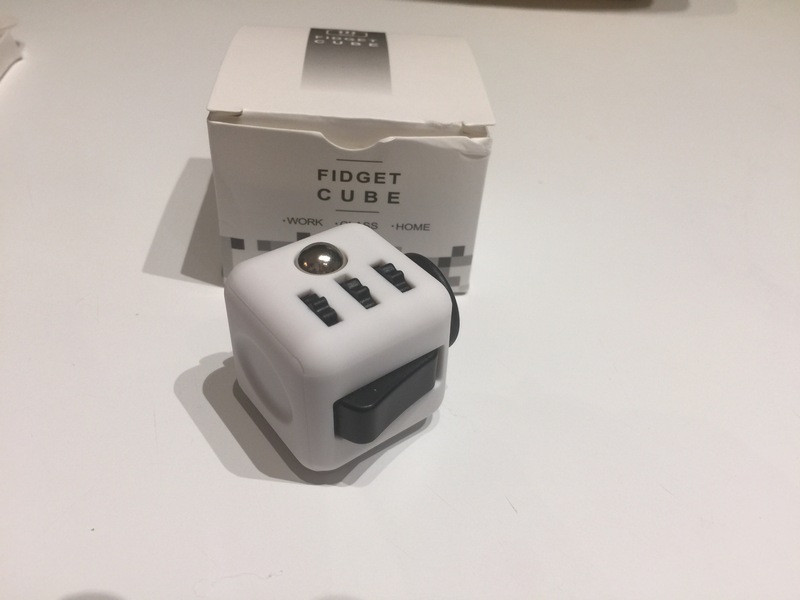 I like looking at the gadget going round and round spinning in fast circles.I also like my six sided fidget cube. One side keeps my fingers busy like turning of and on a wall light switch. Another side has a circle that keeps my fingers busy keeping the circle moving. Third side is little black buttons I can keep busy pushing in. Another side has a raised circle that allow me to keep turning the cube around. I think my favorite side is the side with the metal ball and the three lines with the grooves in them. The groves feel nice on my fingers. 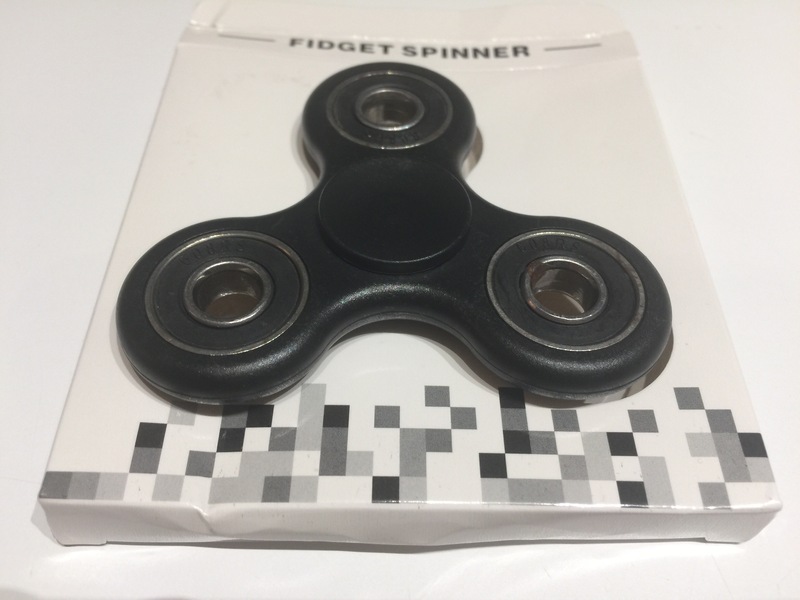 I recommend these fidget spinners/gadgets. They keep my fingers busy and me less tense and nervous. I usually just use a large serrated knife to slice my whole unsliced breads that I purchase at my local bakery._I slice the bread, but have to exert a little pressure while holding the bread to cut the slices. I never realized that there is a big difference in using a knife actually manufactured to make slicing whole bread easier. The shiny new serrated bread knife is constructed very well. It is light weight, but crafted well and should last for many years. 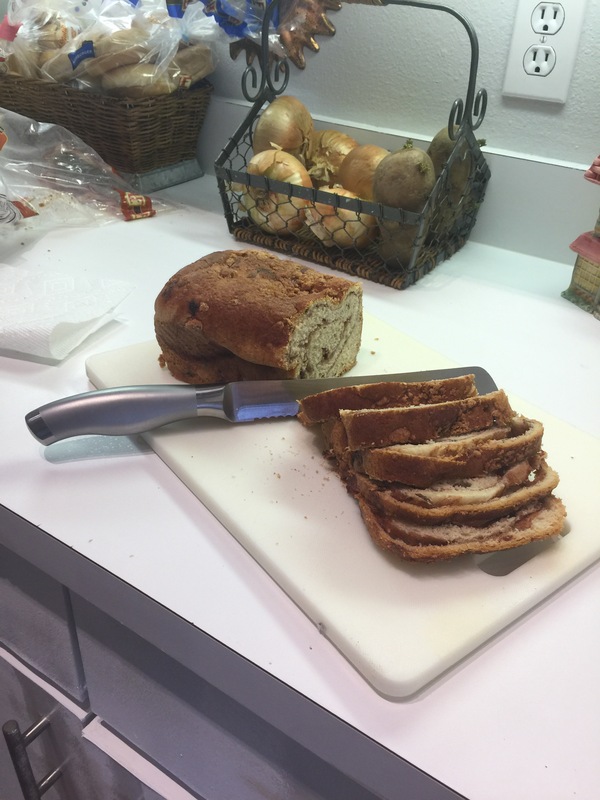 The handle is very comfortable and the serrated knife part is larger than the bread that I was about to cut into. I have found out that it is best to use a large serrated bread knife. It slices bread into thin slices easily. Bread does not crumble like when I use other knives or flaten the bread with having to hold the bread and exert pressure on the knive as it cuts thru. Now I get perfect slices of bread whatever thickness I choose. This bread slicer looks very professional. It makes it so easy to slice a loaf of bread. The knife has a matted finish to the main stainless steel knife and a couple of small portion of the handle has a very shiny polished stainless steel finish. A lot of thought went into the design and craftsmanship of this product. I also want to mention that this product is also good to cut pieces of cake or pie. I should have purchased a knife specifically to slice bread years ago. Great, stylish, professional bread slicer knife that I will use for many years. Great product! 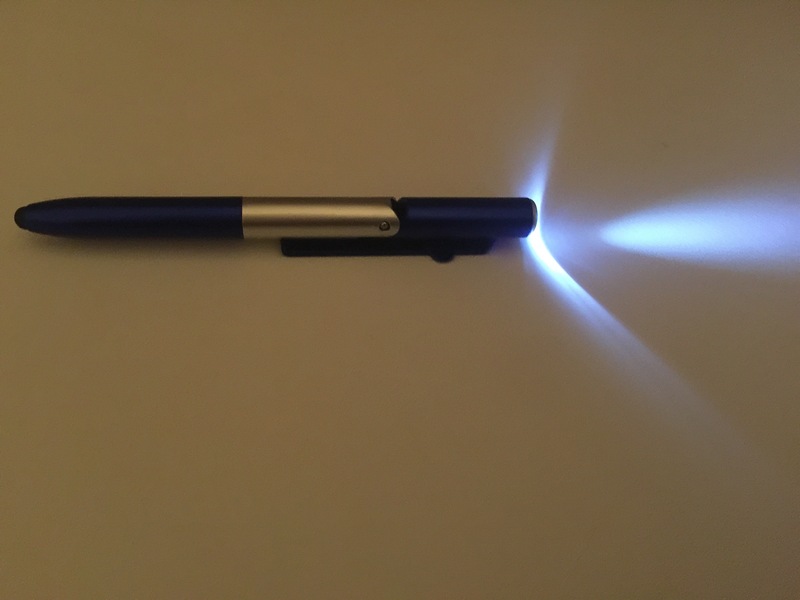 This is a great, slim, light weight multi-function stylus/blue ink writing pen, with built in top of pen LED flashlight. This stylus pen has been constructed with the users utmost thought of the most use in a sleek, compact size. The stylus pen can be clipped to your shirt pocket, pants pocket or clipped to the visor of your car or clipped securely in your handbag just to name a few ways to be secured and readily available to use. Rotate the top portion of the pen and it’s pen portion easily detracts into the pen. Now the pen can be used as a stylus pen. It’s so much easier using the stylus to text on my iPhone 6 Plus. My fingers are short and pudgy and I get a more accurate touch of the screen keys using the stylus portion of the pen. The stylus pen can be used on touch screen tablets, iPads, and many other touch screen devices, including android devices. 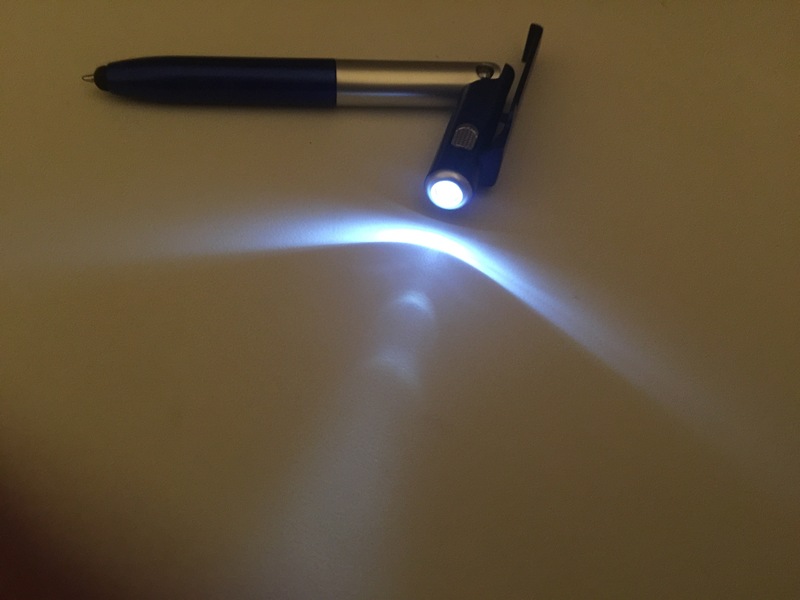 Also, this product can be used as a smooth gliding blue ball point pen that glides effortless on writing paper. You just easily roll the bottom portion of the pen clockwise and it’s blue ink cartridge part of the pen glides out. You may also bend the top part of the pen at its hinges and aim the light at what you are writing. The off/on switch is located on the side of the blue clip. The little grey, oval, bumpy area moves up to turn the light portion on or down to shut the light off. Or you may use the flashlight part to locate your key opening to your front door or locate a small item. Both my daughter (age 29) and my grandson (age 9) already think this four in one pen is great and want me to buy them one. Really a neat invention, in a sleek design that every student and adults will use daily.